Lithium primary cells are the international standard for powering tactical lighting products. 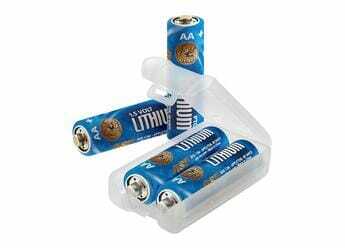 An extremely dense energy source, Lithium batteries have a ten year shelf life. They function in a wide range of temperatures and environments. Lithium power cells are leakproof and vibration resistant. They provide the most dependable source of power currently available for handheld professional lights. ASP Lithium cells incorporate a Positive Temperature Coefficient (PTC) protection circuit and safety vent. The system prevents instability in the event a cell overheats or should rapidly discharge as the result of a short. NOTE: Due to carrier restrictions, batteries can only be shipped via domestic ground shipping to the lower 48 states.